This is a limited edition of Hennessy's VSOP (Very special old pale), probably one of the smoothest VSOPs in the world. Please note: This is the non-transparent bottle version. The product you purchase is shown in the first image. 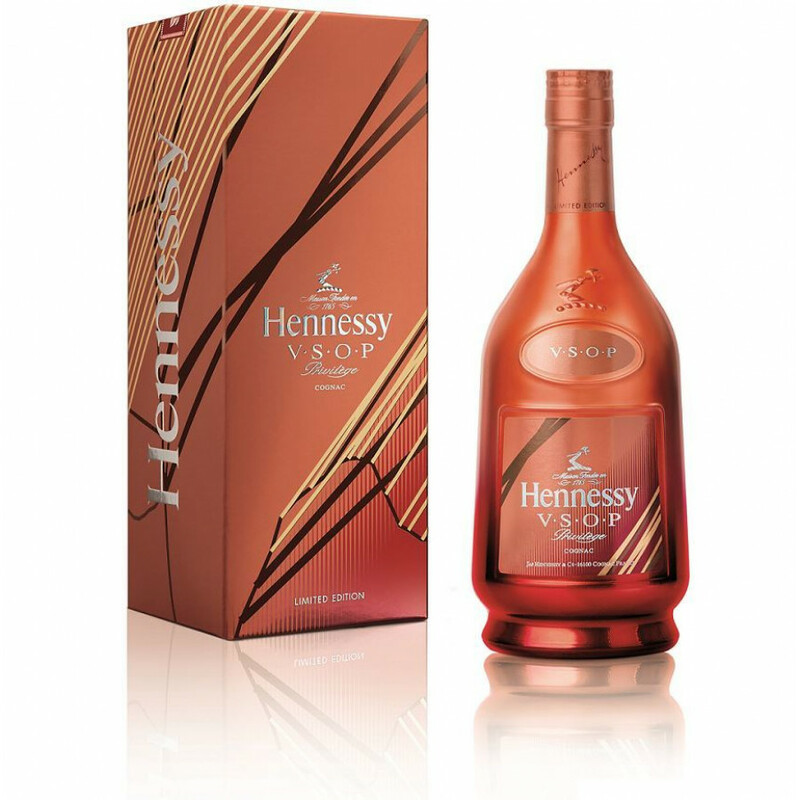 Hennessy VSOP Privilege Collection 6 is a limited item by the largest Cognac house. It'S the 2015 edition of the Privilege Collection. Based on our experience this ltd edition will be rather sold out quickly. It was in 1817 when Hennessy released its first V.S.O.P Privilège Cognac - back then an expression of a perfectly balanced cognac. Hennessy VSOP Privilege Collection 6 is a collaboration with acclaimed British art director Peter Saville, who is renowned for his flair for colours and remarkable technique of re-contextualising data as a visual and cultural language. He has become iconic for his legendary artistic vision and willingness to push boundaries. For the 2015 Hennessy V.S.O.P Privilège limited edition, Saville looked into chromatography to highlight individual components of a complex across the colour spectrum. With his technique of data visualisation, the 2015 VSOP Privilège Limited Edition series reveals an architectural, emotionally resonant imagery of color, contrast, finish and texture. In reconstructing the V.S.O.P blend’s topography, Saville discovered colours derived from the distillation process: the warmth of red and orange hues, the bluish-green encrustation naturally associated with copper, and a Prussian “chemical bright” blue, a colour that blends a feeling of richness with the edge of science, as Saville likes to call it. No tasting notes or reviews yet. As it is Hine's youngest cognac, it is rather fruity flavours: An idea of vanilla, flowers. The taste rather floral, again vanilla. The palate short but smooth, and intense.